I wrote the other day about how I was planning on giving up my IHG Barclaycard. 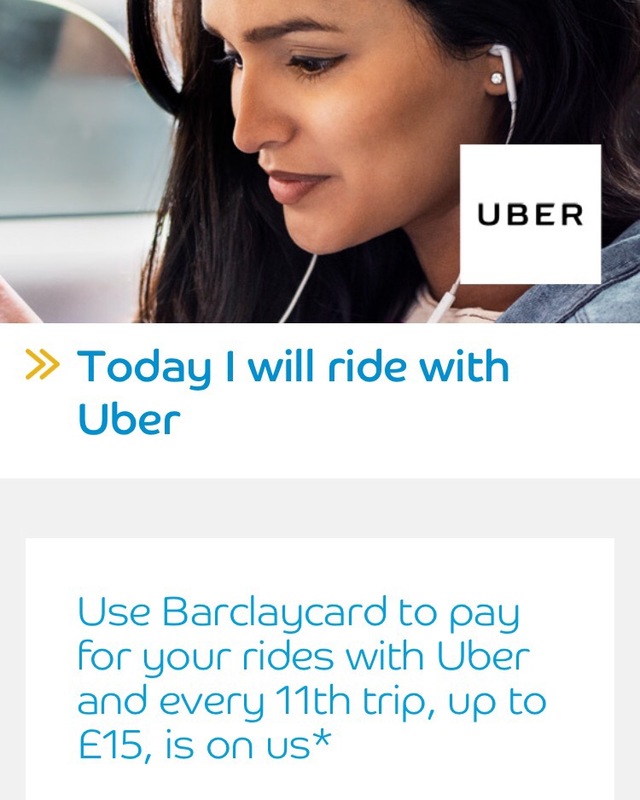 An offer came through today for the first time from Barclaycard; a tie up with Uber offering free rides reminiscent of the AmEx deals. All you need to do is link up your Barclaycard to your Uber account and pay for 10 trips; the 11th is free up to the value of £15. The offer is ongoing and is going to be of most value to anyone who uses Uber frequently for reasonably short trips. It won’t make much difference to me as I have only used it on about 6 occasions in about 2 years. If you haven’t used it before you can sign up here and get some free credit!